I had never met Gordon, so I was impressed he was willing to come down to the studio one afternoon to record a show. There’s no tale of poverty or tragedy or hardship here, just a great athlete from a solid family background who’s fought through an injury-plagued career. 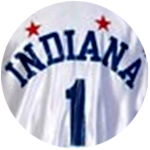 He created major controversy when he switched his verbal commitment from Illinois to Indiana after Kelvin Sampson was named the coach in Bloomington. That made for some uncomfortable moments in Champaign, which I had to document for the Indianapolis Star. I was assigned to go over one afternoon to preview his first trip there. I don’t recall the story, but an editor put a harsh headline on it that motivated his aunt to call me and complain. I couldn’t disagree with her. Gordon, Indiana’s Mr. Basketball in 2007, was the Big Ten Freshman of the Year and the conference’s leading scorer his one season at IU, when he averaged 21.5 points. As it turned out, all the uproar of his recruitment was much ado about very little. 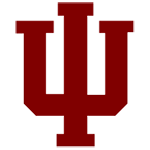 IU’s program was fractured by the firing of the scandal-ridden Sampson, and Gordon played out his lone college season with a mediocre team that lost in the first round of the NCAA tournament. Illinois likely wouldn’t have done much better had he gone there. It worked for him, though, because he was the seventh player taken in the NBA draft. His professional career has been splintered by injuries. He has a career scoring average of 17.4 points after the 2014-15 season, but has yet to be part of a seriously successful team. He has a seriously generous contract, though, one that pays him $15 million per season. That helps soothe the frustration, but I’m sure he’s ready to win. He hasn’t forgotten his roots. He held the press conference to announce he was turning pro at the Jewish Community Center, because that’s where he began playing organized basketball, and where he returns each summer to hold camps for kids.